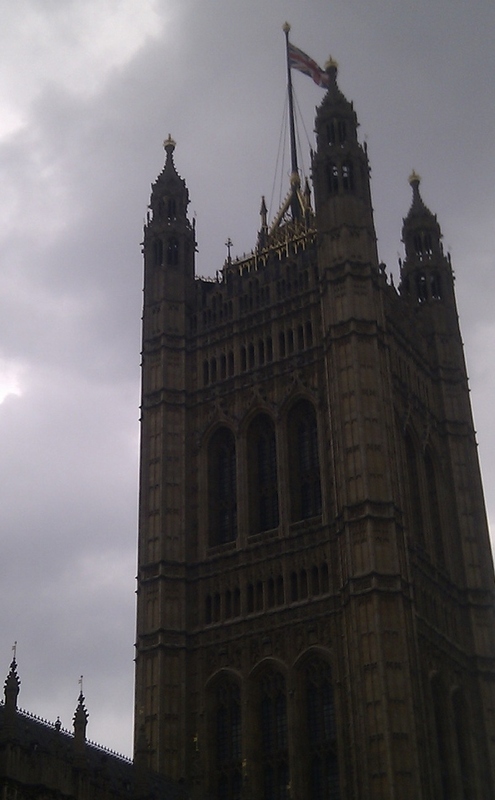 After more than nine years living in London, yesterday I finally joined a guided tour of the Houses of Parliament at Westminster Palace. Having not just admired but passed right by the gothic spires of the Palace on a fairly regular basis, I was very excited to be waved through the entrance and issued with my visitor pass just before 2pm - it may actually be the first time I've been keen to submit my bag and coat to security for screening. View of Portcullis House from the entrance to Westminster Hall. The building contains office space for parliamentary support services and has direct access to Westminster Palace. The tour started from the magnificent Westminster Hall, the oldest part of the Palace with the walls dating back to 1097. Looking down Westminster Hall, the oldest part of the palace with the walls dating back to 1097. 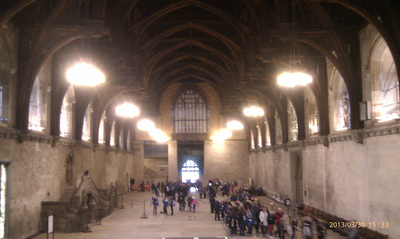 Note: Westminster Hall is also the only place you can take photos on the tour but here's a link to the official Parliament flickr account so you can have a look for yourself if this article inspires you. Twenty-three of us followed our guide Isabel through passages and portals to the southern-most part of the palace,the Norman Porch underneath Victoria Tower. This was built to accommodate the Sovereign's Entrance and the Tower also plays host to the Parliamentary Archives which hold every Bill passed by the Parliament since 1497. As we stood at the top of the 'Royal Staircase', Isabel began her fascinating and dramatic litany on London's political past. 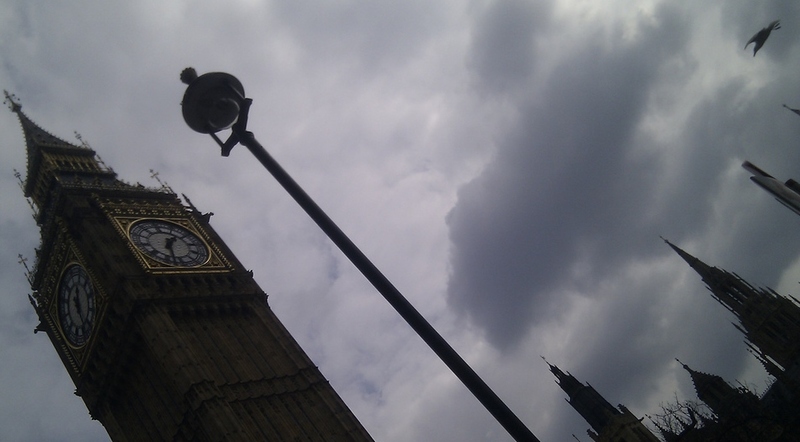 The Sovereign enters just once year beneath the Victoria Tower for the State Opening of Parliament. Crossing the porch, we entered the Queen's Robing Room, used once a year to prepare the monarch for the State Opening of Parliament. Surrounded by frescoes of King Arthur and the Knights of the Round Table, she dons her 'best hat' (the Imperial State Crown) and parliamentary robes and composes herself for the processsion through the Royal Gallery to the House of Lords. Once she is 'in place', the House of Commons (comprised of the Ministers of Parliament or MPs elected by the voters) is invited by 'Black Rod' to stand behind the Bar in the House of Lords and listen to the reading of the Queen's Speech. This outlines the proposed policies and laws intended for the year by the Parliament and is simply read by The Queen - she has no input into its contents. 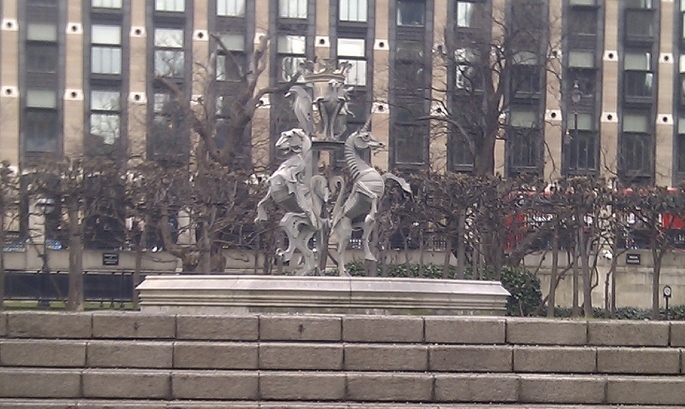 Until now, we had followed in Her Majesty's footsteps and it was at this point we parted ways (so to speak) and continued our tour into the Central Lobby. The Central Lobby provides a crossing point between the two Houses and any constituent can enter and request to see their MP via the Reception Desk. 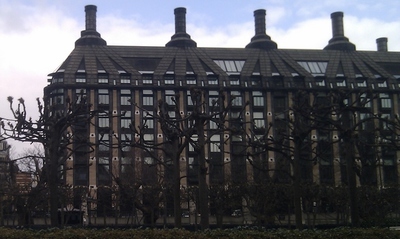 Even better is that if the MP is at Westminster Palace, they have an obligation to come to the Central Lobby to meet those wishing to lobby - a word coined originally from the activity in this very space - their cause. As a UK resident and voter I could do this too, even though I am Australian and not technically British. We moved down the Commons Corridor and emerged into the Members' Lobby. This is a working space for Ministers attending Parliament and even has a message board complete with the name of each MP, a coloured sticker denoting their Party (Red for Labour, Green for Liberal Democrats and Blue for Conservatives) and a light which flags the presence of messages. At each entrance to the Members' Lobby stand four of the UK's most iconic Prime Ministers - Margaret Thatcher, Clement Atlee, Winston Churchill and David Lloyd-George. Next stop on the tour was the 'No' Lobby, a corridor running along the eastern side of the House of Commons and part of the pair also comprising the 'Yes' Lobby to the west. When The Speaker cannot determine the winner in a particular House Debate, he/she will call for the House to 'be cleared' - all MPs leave and according to their vote, turn left (for a No vote) or right (for a Yes). There is no place 'to hide' and this transparency is greatly valued by the Members. When all votes are taken and verified, the House reconvenes and The Speaker announces the result. As we were nearing the end of the tour, we returned to Westminster Hall for a final discourse from guide Isabel on the Hall's great history, both long past and more recent visits from the likes of Bill Clinton, Pope Benedict (the first Pope to visit England since the Reformation in the 16th century) and Nelson Mandela just to name a few. The tour ended and we were left to wander around the hall itself or pop downstairs to the Jubilee Cafe. 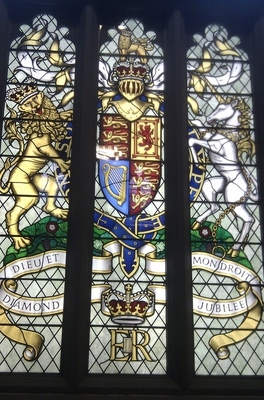 A not-to-be-missed and limited opportunity is the Diamond Jubilee Window, a gift presented from the Members of both Houses to the Queen on 20th March 2012 to celebrate the 60 years of her reign. This will be on display in Westminster Hall (so you can get a really close look at it) until its installation in the central panels of the Hall's north window as part of restoration works continuing during 2013. 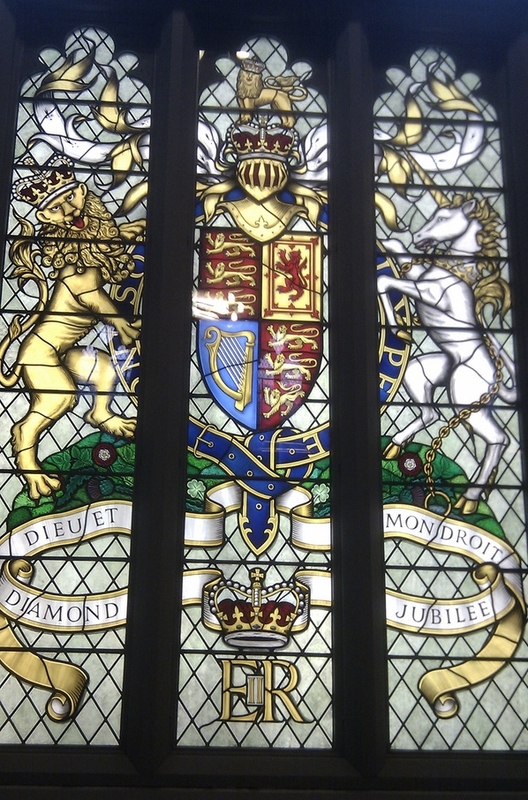 The Diamond Jubilee Window on display in Westminster Hall prior to it's installation in the north window.. There are so many more interesting details crammed into this 75 minute tour and whilst the website and the official guidebook (you can pre-purchase this for a reduced price with your entry ticket) have been invaluable in helping me get my facts straight here, there's nothing like walking along the halls themselves. You might pause to gaze at the Magna Carta or the death warrant of Charles I in the Royal Gallery, gasp in awe at the magnificent gold throne in the House of Lords or just be overwhelmed by the conglomeration of England's political history that exists beneath these gothic spires. For just £16.50, it's an experience not to be missed. And my best piece of advice? Make sure you book!